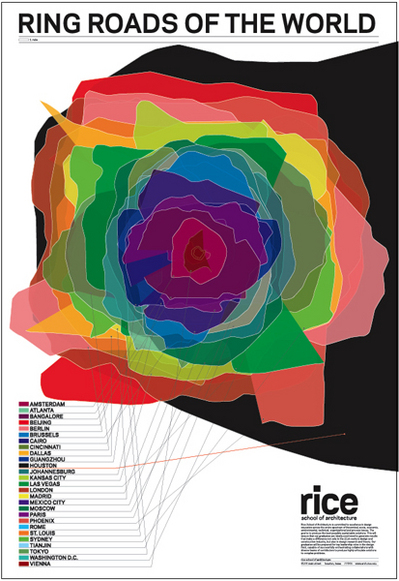 A nice info-graphic comparing metropolitan beltways . One of my favorite UK transportation blogs Diamond Geezer does a take down of leaflet racks: Can’t find what you’re looking for? provided by the normally sensible (by US standards) Transport for London. 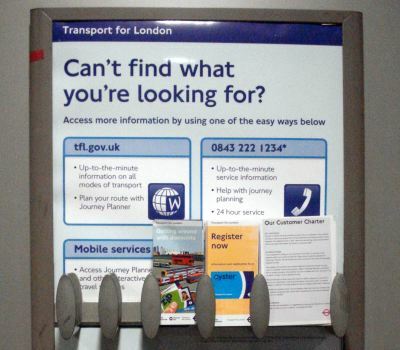 The leaflet racks in London Underground ticket halls used to have blank backgrounds. Now they have information panels. Congratulations to the panel’s designer, who failed to realise that leaflet racks hold leaflets. And a round of applause for whoever approved the new design to be rolled out across the entire network, despite it being unfit for purpose. GettingAroundMPLS leaves the confines of the city and visits the suburb of Roseville where a proposed interchange has been designed (to solve a congestion problem) despite falling traffic levels for the past decade: EXTRA! EXTRA! MONEY WASTED ON EXTRAVAGANT HIGHWAY PROJECT! That post contains a very nice critique of what’s wrong with current highway construction decision-making processes. John Baez (a mathematician) posts about Network Theory and the contributions math might make.